Thanks but so far I think I only found the one for 2010.11.10 online so far. I'll try that one. like last weeks Shuukan w/ Shawako, a lot more people probably know about her now! at Suuchan imitating her arm shaking while she was talking! It was cool to see her on AKBingo this week. She is really interesting. 17 years old, but she looks (and sounds!!) totally young. Reverse Jurina effect again, lol. Pretty funny, I hope to see more of her on the regular AKB shows. ^I was wrong. TODAY she's 17 year's old congrats! I was confused because I thought Shihorin was 17 and I knew they were the same age... Miori is 5 days older. Man, my eyes must be going bad...Amina looked kinda thick in the clip. i don't think this video has been posted yet. Miorin sounds a lot different when she sings. This isn't her in the background of Tanamin's 1/48 confession video is it? Same hairstyle and lurking in the background (like she did on Kyowakoku) but not tiny enough to be her unless they were employing some Lord of the Rings camera effects. ^ Similar hairstyle, but it's definitely not her. 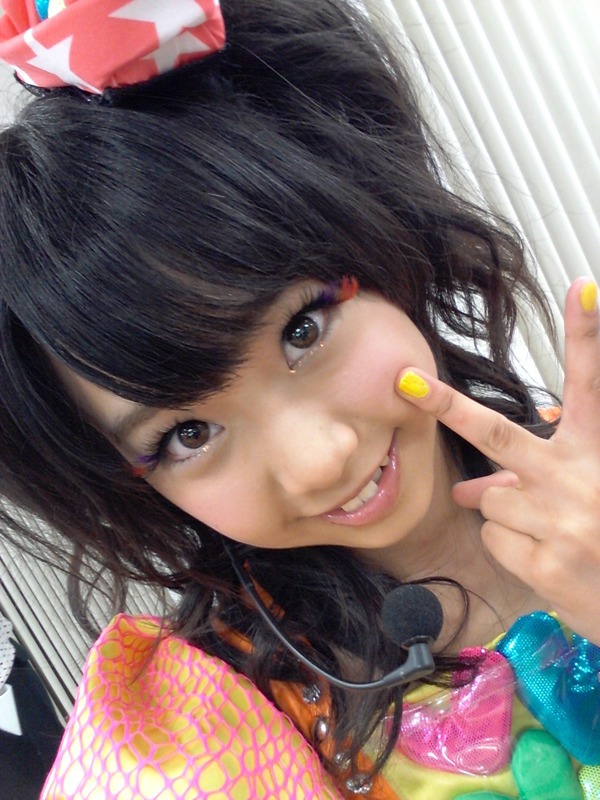 ^^ My favorite picture in that set is the one of Miorin. Which is really strange. ... makes me think I might be turning into a Lemon fan or something. On AKBeginner pt 2, her "Black Lemon" personality was revealed after her "wrap battle" with Minarun!!!! !